This is an integrated campaign for beverage company. The target is individuals in gen x and y who want added ingredients with value to their beverage. 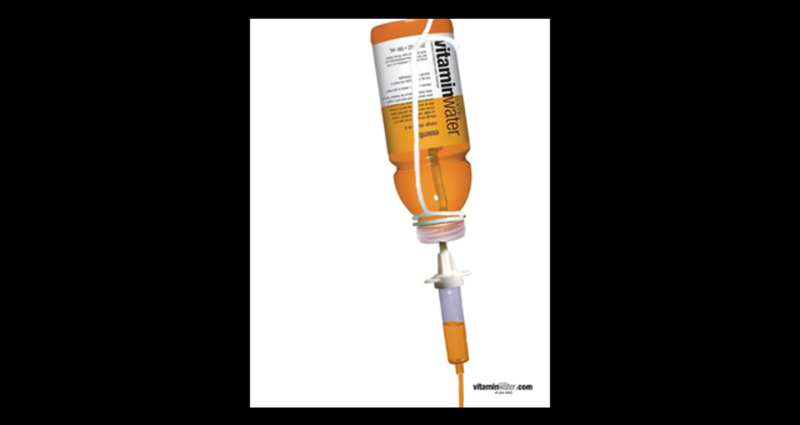 By having the Vitamin Water bottles as a pharmachetical product compares it to the recommended daily dosage of vitamins needed for daily health.